We Cayman, we saw, we conquered. A huge thank you to Cayman Islands Department of Tourism and Kimpton Seafire Resort + Spa for an unforgettable #Natchelorette weekend. I had an amazing time celebrating my upcoming wedding with a few of my favorite girls, Alyssa Campanella, Jessica Naziri, Marjana Jaidi and Courtney Donisi. We wined, dined, danced and dove with stingrays, and it was truly a trip to remember. Thank you to Ted Baker London, Luna Bar, Skin Better, Sidway Swim, Pure Wine, ISDIN USA and CBD For Life for the lovely lovely gift bags for my girls. It was such a pleasure to be back at the Fashion Institute of Technology to teach (some of the world’s best-dressed students) about how to better use social media to connect with retail customers. Speaking of retail, throwback to NRF with Samsung earlier this year, where I had the opportunity to chat with Steffen Schenk, business unit director at Barrows, about the future relationship between data and retail. Check out the interview. And shout out to Ted Baker for keeping me in good company with the fashion elite at FIT! This is a sponsored post written by me on behalf of NBC. The opinions and text are all my own. 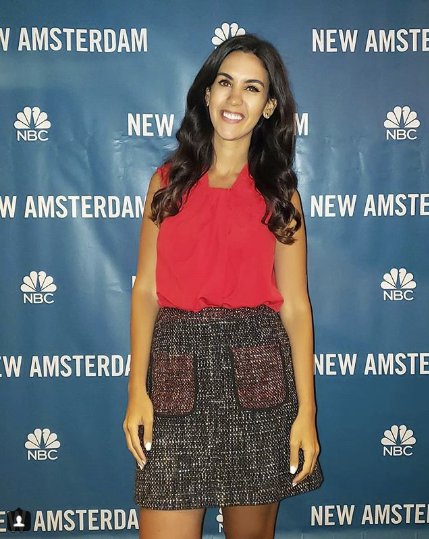 Shout out to MM.LaFleur for the perfect screening outfit! So you want to be an influencer?! Last week, I joined Edelman PR and the team at Bookings.com to share my best practices about how to engage, work and build relationships with influencers. Read more of my thoughts on the influencer industry over at Ad Age, where I explain why I love seeing the hashtags #ad and #sponsored. This is a sponsored post written by me on behalf of Uber. The opinions and text are all my own. As a woman who works on the internet, I've seen it all. Sexist comments, disparaging slurs about my Middle Eastern background: You name it, I've received it. It's one reason I'm so proud to partner with Uber, who just launched a platform for women driver-partners in Saudi Arabia. It's essential that big brands help drive more opportunities for women globally... Because no matter where you are in the world, everyone should have an equal opportunity to earn their own income - and more importantly - drive change. This is a sponsored post written by me on behalf of Makespace. The opinions and text are all my own. By now, most of you know that I’m moving in with my fiancé (which means storing 10 years of belongings from my old apartment). I recently partnered with MakeSpace to share some of the unique things I'm storing, like my guitars, Nightmare Before Christmas memorabilia and yes - even my beloved popcorn machine. The best part about working with Makespace? The opportunity to store my stuff, rent my apartment and earn additional income. P.S. Thanks to NY Times for listing my apartment in the top 5 Most Popular Properties in July! Hard to believe it's been over a year since I've been working as Samsung's Video Correspondent! Last week I joined the Samsung Business team in Las Vegas for the 84th Association of Public-Safety Communications Officials (APCO) Conference, where I talked to experts about the latest advancements in Samsung DeX. The docking station allows the smartphone to be extended into a desktop experience, which is helping to improve the work flow for public safety officials. In other Samsung innovation news, have you tried out the S Pen? The Bluetooth-enabled, click-on-command pen makes the mobile experience even more convenient. Both the DeX and S Pen are available on the new Galaxy Note9. I spent a lovely afternoon last week with the business school students of Hochschule Fresenius, visiting New York from Germany this month. I showed them my Samsung commercial (filmed in Vienna last summer), and talked about the power of partnerships. 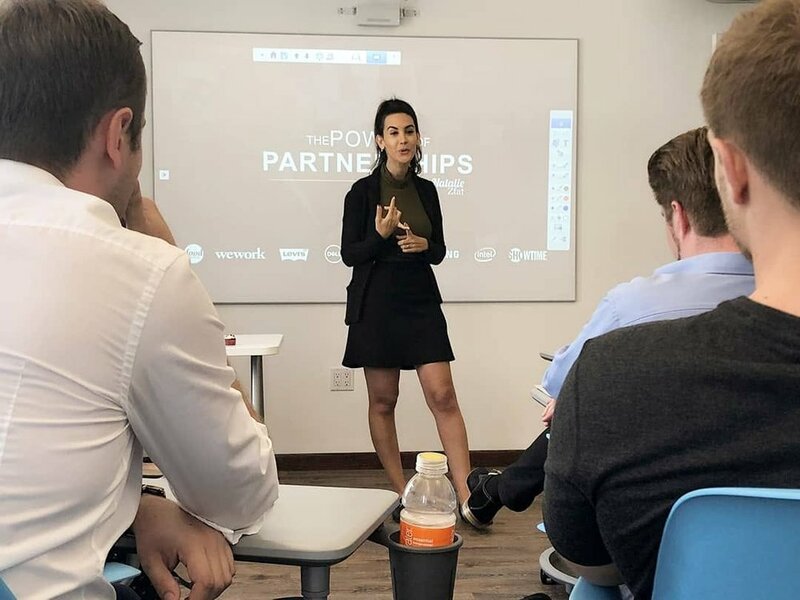 There are a lot of things to consider when pursuing partnerships - from expectations and deliverables, to competitor awareness and of course, payments. InfoComm 2018 was lit – literally. 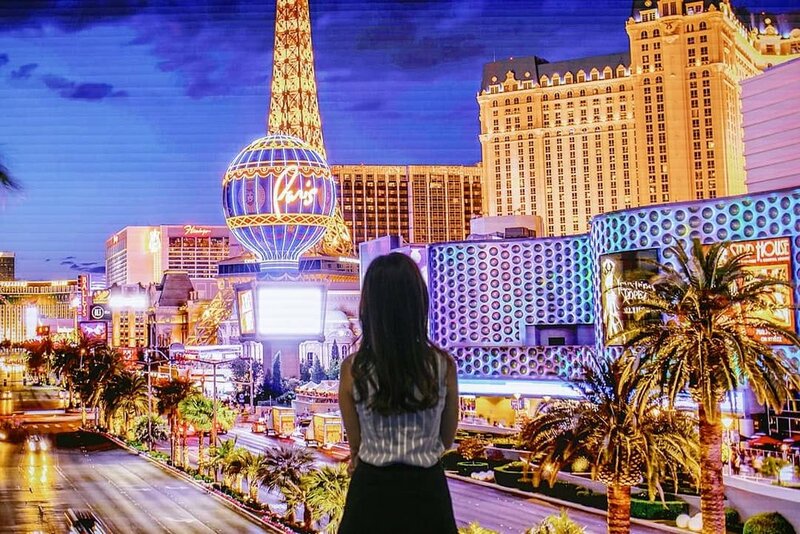 This month in Las Vegas, I loved learning about the latest innovations in digital signage like microLED display technology. I also had the pleasure of talking to BJ Vander Linden, CIO of the NBA’s Utah Jazz, about how digital displays in arenas and stadiums can create a better experience for fans. Between this and Samsung's Aviation Summit this month, I'm flying high from all the groundbreaking innovations! 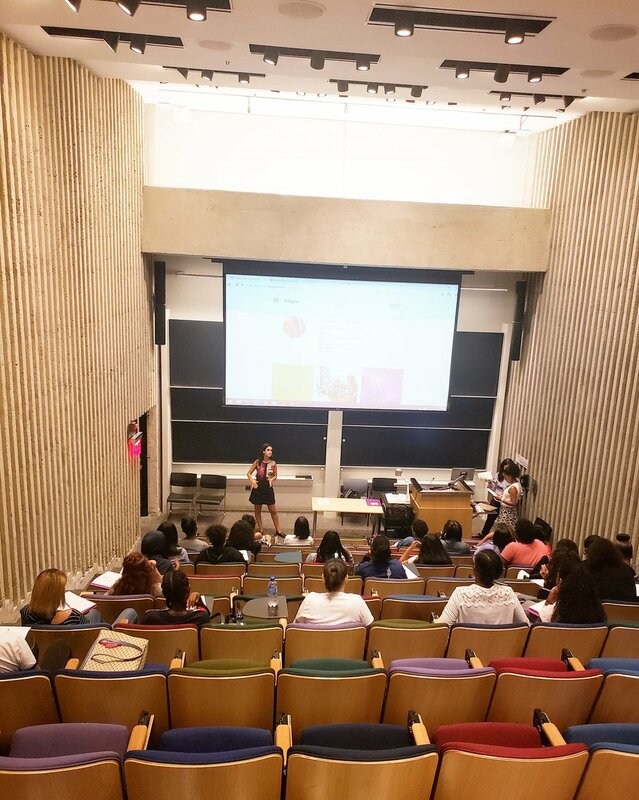 This week, I had the pleasure of teaching high school students from all five boroughs of New York City how to use social media to land their dream jobs. We covered the fine art of using LinkedIn to create a digital resume - and how to write an eye-catching bio to impress any recruiter (especially when the inevitable lay-off happens). More on that in this Moneyish interview. Thanks E-School for Girls for having me back (for the 3rd year)! See you next summer! Thanks so much to the United Nations' NGO Committee on Sustainable Development New York for having me on the Innovative Technologies panel last week. As you may know, technology has a tremendous economic and global impact, and I was honored to share some of my favorite campaigns I've worked on with the influential room. Joining me were UN Women's Senior Policy Advisor on Innovation Hélène Moliner, Thankful's Mike Chuter and the First Secretary of Permanent Mission of Mexico to the United Nations Bruno Rios Sanchez. "Social media is your résumé - whether you're an influencer, a restaurant or an accountant. Make it count!" 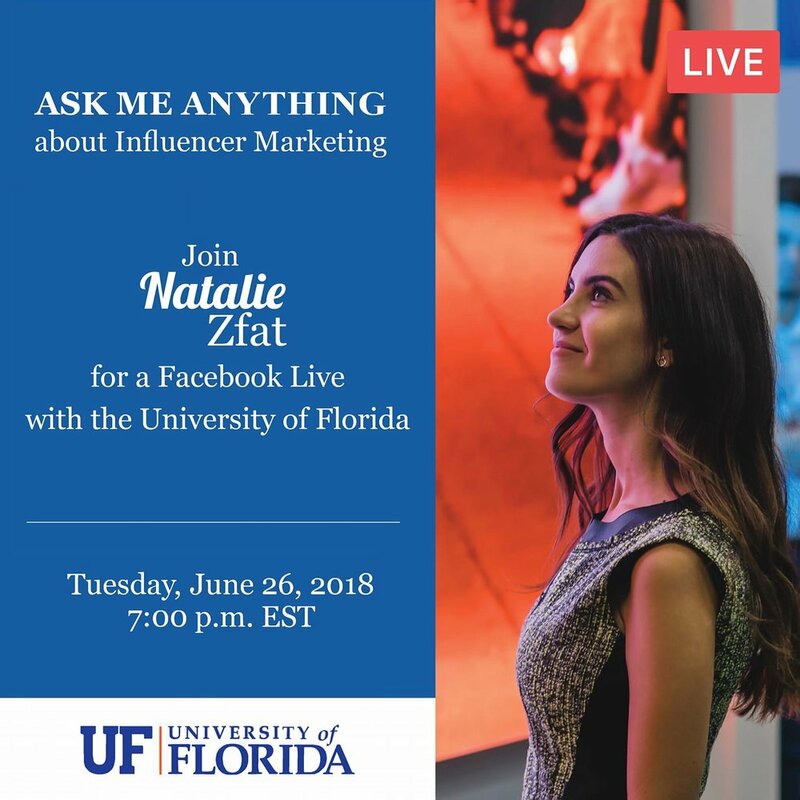 Last week, I joined my friend, University of Florida professor Kristina Libby for a Facebook Live about the future of influencer marketing - an area I'm pretty passionate about (read more here in The Atlantic). We talked about everything from best content practices and how to set your rates, to how to approach brands and balance client and personal content. This is a sponsored post written by me on behalf of Bumble. The opinions and text are all my own. 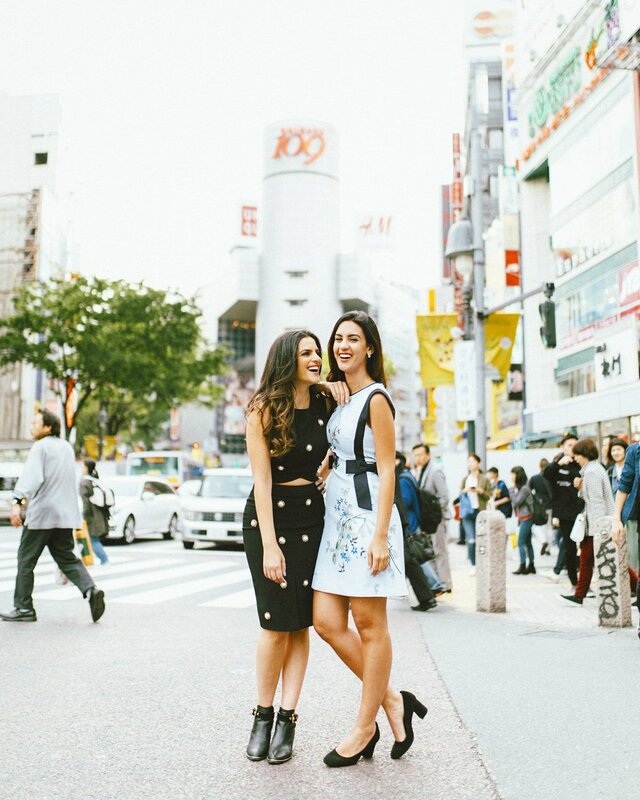 In honor of #NationalBFFDay on June 8, I relived some memories from an April '17 trip to Tokyo with my bestie Jessica Naziri for her bachelorette party (of 2). Thanks BumbleBFF for reminding us to celebrate the magic that is best friendship - and s/o to my 3 other besties/superwomen Chondra Sanchez, Alyssa Campanella and Marjana Jaidi. This is a sponsored post written by me on behalf of Samsung Business. The opinions and text are all my own. As you may know, for the past year, I’ve been Samsung’s Video Correspondent (happy one year, Samsung Business USA)! But, what you probably don’t know is that my personal phone... is an iPhone. I’ve been an iPhone user for 10 years – so the idea of switching galaxies (see what I did there!?) has been intimidating. But, I need a phone that won’t die on me in the middle of the work day. I want to be able to take important business calls and charge my phone at the same time (I don’t think that’s asking too much!) That’s why I'm finally making the switch. Learn more about why I finally made the switch here. As a female entrepreneur with an all-female team, it's no secret that I'm obsessed with helping women succeed. But like most of us, my weekdays can often become consumed with work - making time to help others scarce. That's why I strive to spend at least my weekends helping other women - whether I'm carving out an hour to help a friend fix her resume or giving feedback to a colleague rehearsing for her big presentation. You may also recall that my first job was writing about music for Rolling Stone, which is another reason why I couldn't have been more excited to support women's entrepreneurship and empowerment with Uber at the Billboard Music Awards! Leave me a comment below sharing how you're driving your business forward. The ticketing revolution is here. Shoutout to LCD Soundsystem's James Murphy (pictured above), A-Trak, Topaz Jones, Playboi Carti and everyone else who came through for Blockparty's launch party this week at Catch NYC. Couldn't be more excited to be a part of the future of ticketing. Learn more about how Blockparty is changing the world of ticketing by preventing fraud and unfair prices here. This is a sponsored post written by me on behalf of the Modern Marketing Summit. The opinions and text are all my own. 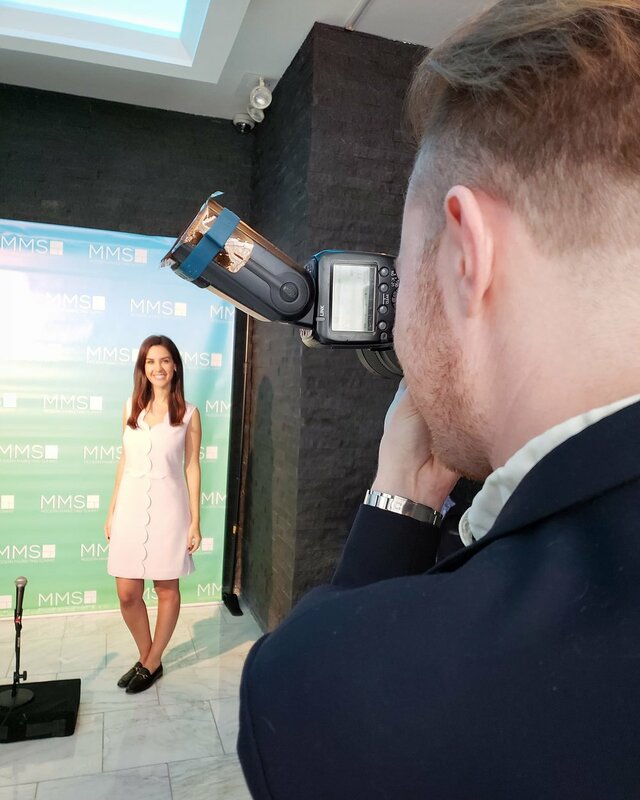 I had a great time at the 2018 Modern Marketing Summit in New York, where I had the pleasure of interviewing execs from American Express, Bank of America, Coca-Cola and more about the business of content. 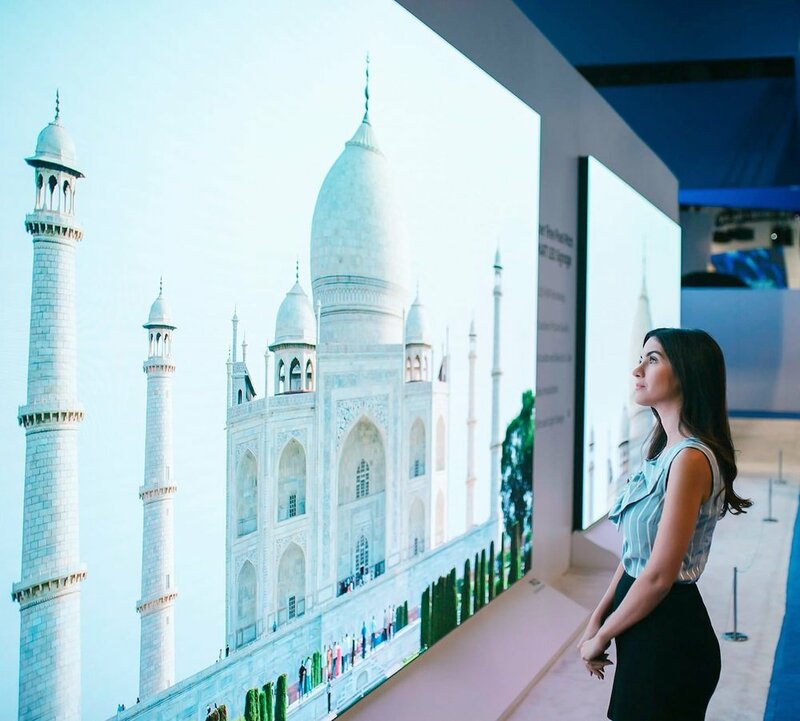 Check out my interview with Andy Goldberg of GE, and learn about how the company is using experiential marketing to create more authentic connections with its customers.